Home » Beauty » Beauty Products & Makeup expiration dates. When do they expire? 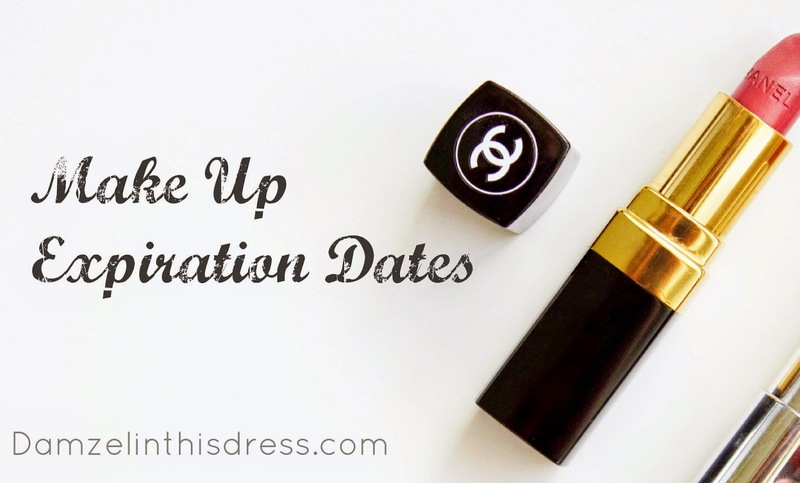 Beauty Products & Makeup expiration dates. When do they expire? I am majorly guilty of buying foundation when I don’t need it. I am on the constant look out for a colour to match my skin perfectly and that results in endless bottles and tubes of war paint. If the product is cream based, it will break down a lot quicker than powder based foundations so they will be in the one year mark. If you use a liquid, signs of expiration are a lot easier to sport because the product starts to seperate. Most of these products are full of stable ingredients. This means that they will last for a relatively long time before the products stop doing what they’re supposed to do. You may want to note that if your product contains ingredients which help to combat acne, dandruff, or other conditions, then this life span is reduced. The usual number one ingredient for these cosmetics is antioxidants like vitamin C, retinol, and glycolic acid. As much as we may want to stock up on these, just in case we have a break out in the future, remember that antioxidants break down more quickly than the products’ base ingredients. Unfortunately this means that they stop doing what they’re supposed to be doing. These products tend to have particularly long shelf lives because many contain alcohol, which acts as a preservative. So it’s totally ok to buy that huge can of hairspray, even though you might not use it ever day. Things like hair sprays are in pressurised canisters so this can also help preserve the product for a short while longer. This one makes me particularly sad. Especially since my collection of polishes has only just started growing. It’s very important to note that nail varnish is extremely sensitive to heat and humidity. Always remember to store them in a cool and dry place. Contrary to the “beauty hack” putting it in the fridge doesn’t really prolong it’s shelf life. It needs to be at room temperature to spread evenly. In short, the chemicals that keep the polish smooth and flexible can and will degrade easily, leaving the product clumpy or stringy if it isn’t stored in an appropriate place. I’ve done quite a bit of research into this and there are a number of different people who give different expiration dates for eye products, mostly falling under a year. (Mascara being just 3 months!) The reason is pretty self explanatory really. Your eyes are extremely sensitive and of course extremely important therefore putting anything that could harbour bacteria near your precious peepers is…well dangerous. If your mascara/eyeliner is drying up, throw it out! Luckily expired skincare products aren’t usually highly dangerous, they just become ineffective. Let’s face it, what’s the point of having skincare products that don’t do what they’re intended for? Cosmetics on the other hand can be a little more scary as makeup (and makeup brushes) are pretty much mini breeding grounds for bacteria. Check your makeup regularly and store it well. My advice would be, don’t go beauty hauling unless you’re absolutely going to be using up those products. Not only will you get the satisfaction of having an “empty” but you’ll be making the most out of your hard earned money. How often do you clear out your makeup?